Leslie Wolfe is the author of the Alex Hoffman thriller series and the Tess Winnett series. The Alex Hoffmann series is part political, part spy, part techno-thriller. Alex is the female response to Jason Bourne, Jack Ryan, and Jack Reacher. The series currently includes five books. Tess Winnett is an FBI Special Agent who is working with her team to stop serial killers who want nothing more than their preys. Unlike the author’s first series, Tess Winnett has a strong psychological serial-killer thriller vibe. If you enjoy this genre, you will be in for a thrill! Here are the Leslie Wolfe books in order for her series in publication and reading order. Leslie Wolfe was born in 1967. She had a strong interest in reading books from a very young age. Encouraged by her mother who would give her books to read and literary assignments ranging from easy to more and more difficult ones to complete, Leslie found herself reading books by authors like Alexandre Dumas and Jules Verne by the age of 10 and Tolstoy, E.A. Poe and Margaret Mitchell by the age of 16. During her teen years, Leslie was tutoring children in literature. Even though she wrote several short stories before leaving school, life took Leslie in another direction for a while, as she went on to study business. She attended the University of Maryland where she graduated with a Bachelor’s degree in Management Information Systems. Before becoming a full-time author, she worked for a while in the corporate world as a senior business leader. In 2011, she wrote her debut novel, Executive, which became the first in the Alex Hoffman series. With currently 5 books in the series, another few books in her Tess Winnett series, a first book in the new Baxter and Holt series, a standalone novel and a screenplay (based on her debut novel as a big screen adaptation), the author Leslie Wolfe has joined the ranks of established mystery and thriller authors. While reading about the author’s life, I’m musing on how the path took us in so many different directions, while we started so similarly in life. I was born just one year after the author, I also read the same books by the age of 10 (we always had wall to wall libraries at home and my mother would push me to read as much as I could – thankfully I always loved reading). My Bachelor’s degree is also in MIS. Yet I am not an author, but I am a blogger and book reviewer. Our love for books remained the same, however. Several of the Leslie Wolfe books are techno-thrillers. This comes as no surprise to those who know that the author has a passion for technology and psychology. Her standalone novel is a psychological thriller as well. To write her novels, Leslie Wolfe as an author does extensive research in both the above-mentioned fields. For example, in Glimpse of Death, she brings a lot of modern exploration of the DNA forensics, along with general avantgarde forensic science and modern investigative procedures on how to capture serial killers, along with a bit on the psychology of serial killers as well. Before publishing the book, the author runs the manuscript through the eyes of several professionals in the medical, law enforcement and science fields. Thus, the accuracy of the modern technology in the book is maintained. While I enjoyed reading the Alex Hoffman series, the author’s Tess Winnett series really stole my heart. Tess is a strong character. She is an FBI agent who, in the series’ latest book, The Watson Girl, is recovering at the hospital from a brutal attack. Still, she is brought back to work since she can help with a case that might be even more gruesome than the one her team closed in the previous book. The Tess Winnett series has only three books so far, with the latest one published in 2017, but I strongly hope that there will be more to come. 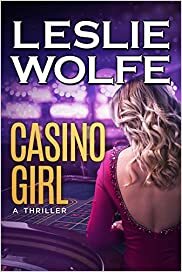 Leslie Wolfe has now started an entirely new series with the first book published in 2018. While there is no official title to the series, readers call it Baxter and Holt due to the names of the two main characters in the first book. The author is a very private person, she calls herself a recluse even, so there are no actual photos of her. When she keeps in contact with her fans, she does it so through email or social media. She is currently living in Florida with her husband and her dog. Reading the Leslie Wolfe books in order is certainly a true pleasure of any thriller fan. Love everything you write … thank you! 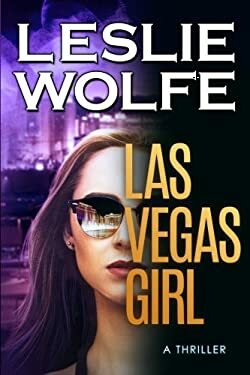 Just finished Las Vegas Girl and want more stories about Holt and Baxter. Great read and since I moved from Las Vegas a year ago, actually Henderson, it was fun to “ride the streets” of my former city again. Thank you! I just finished Las Vegas Girl. Great read! Can’t wait for the next Baxter/Holt novel. I have read the Tess Winnett series and am now into Stories Untold. I am hooked on whatever you write. Keep going for you have an anxious reader waiting. Stan S.
I loved the Tess Winnett series and am now enjoying Stories Untold. I love Leslie Wolfe’s work! I hope to see the return of Tess Winnett . I loved the Tess Winnett series, nice work! Character development and the depth of the plot was incredible! Can we expect a book 4, enquiring minds would like to know?